These apartments are accessible from Byng Street, off Westferry Road. It is approximately a 7-minute walk from the apartments to the heart of Canary Wharf and the Jubilee underground line with fantastic underground and rail links to London's West End and London City. The development is about a 3-minute walk from either South Quay or Heron Quays DLR station. It is also conveniently located near to London City Airport, which is some 33 km away.These apartments comprise the newest development in this sector. Each of the 42 apartments at this apartment hotel has been specially designed with space and convenience in mind and contains all the luxuries of home-away-from-home living. Facilities include easy-to-operate entry phone systems, a reception area and lifts. WLAN Internet access is provided, and there are parking spaces for guests arriving by car (charges apply).These modern apartments include furnished living and dining rooms. Facilities available to guests include a satellite/digital TV, DVD player and free broadband Internet access. Apartments also feature a fully equipped kitchen with a dishwasher, washer/dryer, oven and hob, as well as a fridge and freezer. An iron and ironing board and tea and coffee making facilities are also provided. The bedrooms include a double bed with a walnut headboard, in addition to a telephone and alarm clock. 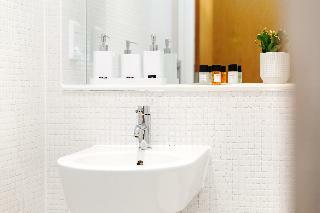 Each apartment comes with a private bathroom with a power shower, heated towel rail, a hairdryer and a shaving socket. Central heating and a balcony/terrace are further standard features.Guests can take advantage of significantly discounted passes to Canary Wharf's premier gym. 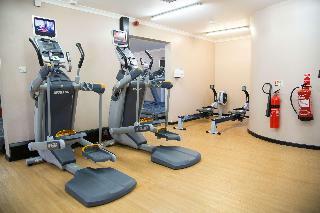 This magnificent hotel placed in Canary Wharf, will host guests with comfort and style along with luxurious lifestyle facilities such as 24-hour fitness centre, which offers a range of equipment, a pool with whirlpool, a sauna and steam room, plus scheduled classes in the studio. Guests will enjoy the premium facilities and imaginative décor of the rooms that will make anyone feel like home.If guests are interested on staying in, the restaurants and bars are going to be the perfect spot for them, from a light breakfast to couple of cocktails will delight to the most exigent.But if guests are more outgoing, this well placed hotel is ideal for exploring London, close to the centre of the city, offers easy access to London's major sights and shopping via the excellent transport links right on its doorstep. This comfortable apartment is located in Docklands. Travellers will enjoy a peaceful and calm stay on the premises, as it counts with a total of 10bedrooms. Pets are not allowed at Lanterns Court One-Bedroom Apartments. 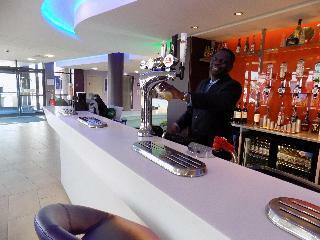 The apartment hotel is located in the heart of the London Docklands area. 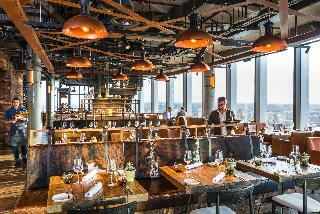 The restaurants, bars and tube station of Canary Wharf are just about 500 m away. 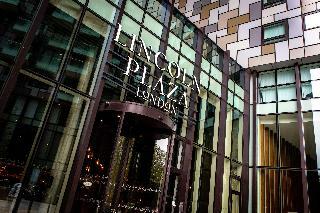 The London Eye, Houses of Parliament and Waterloo Train Station are only about 1 km away.With an interesting mix of classy decor, an ideal location and amenities such as 24-hour check-in service, Internet access, and modern communication systems, these 10 serviced apartments in London are perfect for corporate executives and business travellers. This apartment hotel also offers 24-hour check-out service, a cloakroom, lift access, a dining room and a car park (parking fees apply).Each apartment has an en suite bathroom with a shower, bath and a hairdryer. Rooms are furnished with double beds and amenities include a TV, Internet access, a washing machine and an ironing set. The kitchen is equipped with a fridge, cooker, microwave and tea and coffee making facilities. Individually regulated heating is a standard feature in all accommodation. Moreover, each apartment has its own balcony or terrace.Guests can take a refreshing dip in the swimming pool.